Singapore is so much fun! It was totally different than the other countries we visited in Southeast Asia (Philippines, Vietnam, Cambodia, Thailand, Laos and Malaysia). 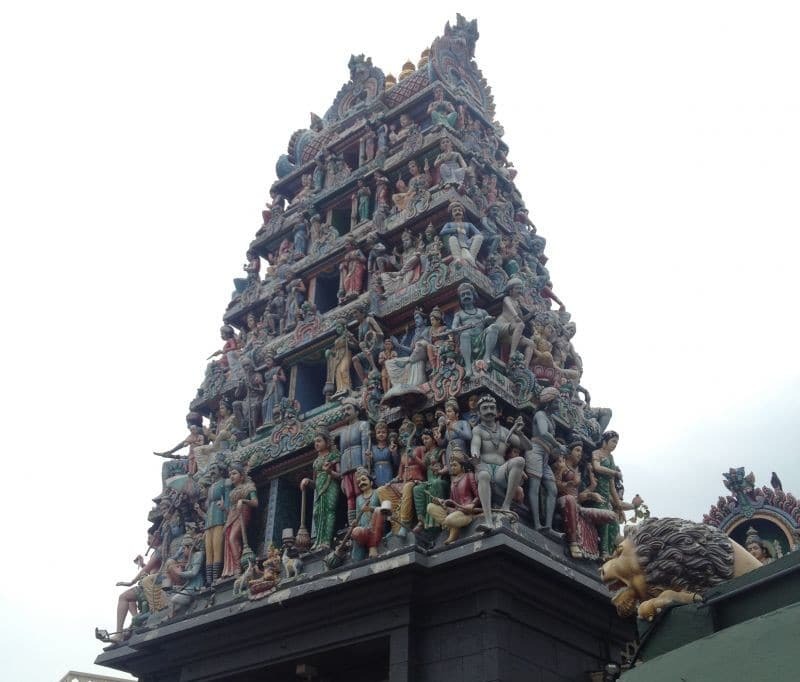 I absolutely loved spending 4 days in Singapore, maybe because it was so different. • Information is listed in 4 languages (English, Mandarin, Tamil and Malay). • Getting through customs and getting a stamp in my passport is effortless because of the ingenious system of automatically opening gates with red and green lights. • There is a free shuttle train taking us to the terminal where the MRT (Mass Rapid Transport) departs to the city center. What a difference with Manila, where the absence of a free shuttle and a total lack of cash had me in tears. Southeast Asia is great, really, I loved it! But it’s not clean… There is so much trash lying next to the roads, floating in the water and piled up in the city streets. Everyone who has been to Southeast Asia knows that even though the driver of the minivan/bus/tuktuk/etc. says he’ll take you from point A to point B, you never know exactly where you are going to end up. Or the time I thought I booked transportation from Hue to Hoi An and it turned out to be a full-blown tour taking the entire day. Or that time in the Philippines, when I booked a ticket with Roro bus that was supposed to be so many things and turned out the be the complete opposite of those things. None of this nonsense in Singapore. In Singapore there is the easy to understand-communicated-in-4-languages-always-on-time-super-reliable-MRT. Anyway, let me tell you about the budget needed for Singapore first before showing you around the city:-). Expensive? YES! Worth it? TOTALLY! • I traveled in Singapore with my husband, all expenses are for the two of us together. • We spent 4 days in Singapore, flying in from Bangkok and leaving via bus to Johor Bahru in Malaysia. • I quote prices in Singapore Dollar (SGD) as well as € and $. The SGD is a pretty stable currency, but of course there are some variations in the exchange rate. 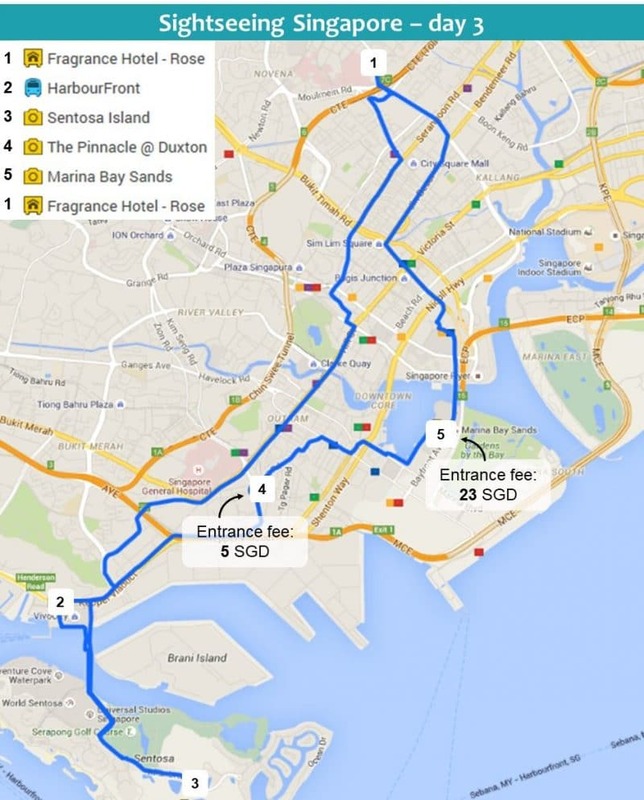 When we were visiting in May 2015 €1 was approximately 1,50SGD and $1 around 1,40SGD. 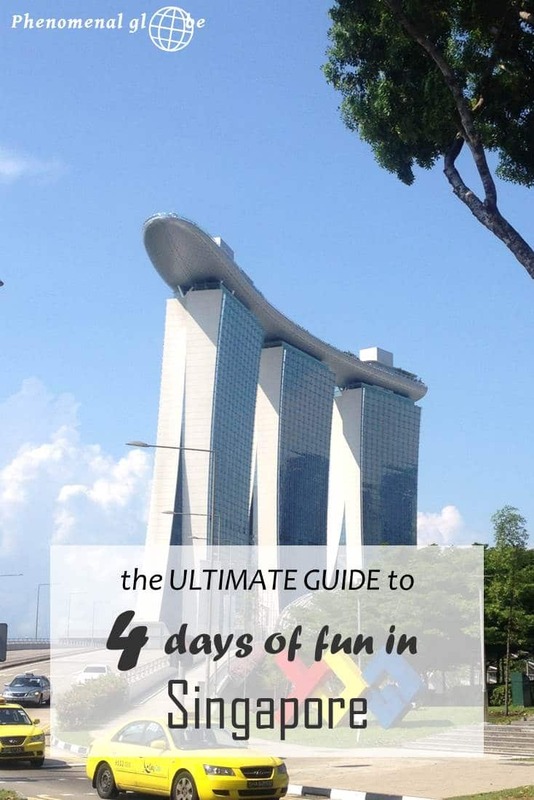 • In total we spent 560SGD (€372/$400) in the 4 days we were in the country, which is an average of 140SGD (€93/$100) a day and includes all expenses in Singapore plus transportation costs to Johor Bahru bus terminal. Costs for the flight from Bangkok to Singapore are not included. The first 2 nights we stayed at the Vintage Inn which is the only dorm room we stayed at during our 5-month trip. It’s not that I don’t like staying in dorms, but I found that, traveling as a couple, prices for a private room are similar or even cheaper than the price for two beds in a dorm. 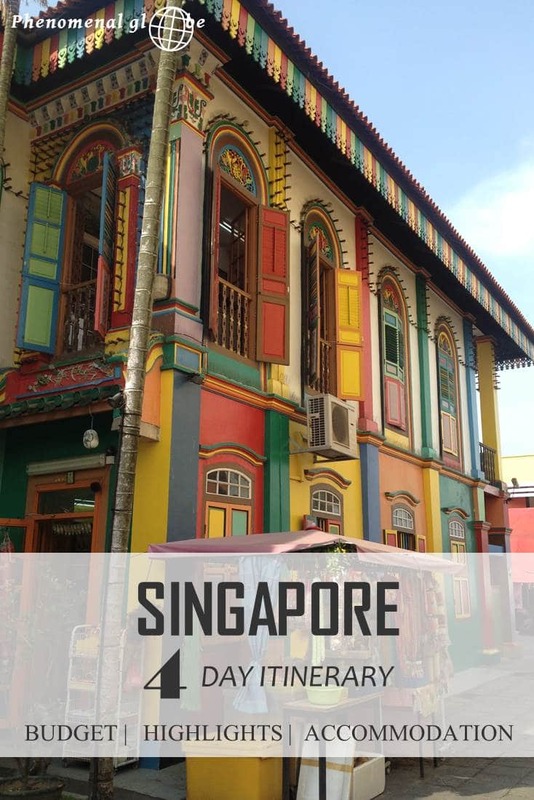 About: The Vintage Inn is a nice hostel and located very close to the MRT station Little India. It is nice to have some privacy by means of a curtain you can slide for your ‘capsule’, other than that it’s the same as a regular dorm. Very clean, comfy bed, some room next to the mattress to put your stuff, a locker for valuables and really helpful friendly staff. Price per night: we paid €34,20, including a basic breakfast. Click here for the latest prices. About: the room was small (normal in Singapore) with an en-suite bathroom (a luxury in Singapore for a hotel under €100 per night). The bed was comfy, air conditioning nice and quiet, small free mineral water bottles supplied every day and complementary WiFi. I cannot understand how a hotel that has just been renovated can already smell this bad. Fragrant? Definitely! Roses? Absolutely not! The hotel opened just a couple of weeks before we stayed there, but it smelled like somebody had been smoking non-stop in the room for years. Gross! We spend very little time in the room because every time we entered we felt like entering an ashtray. Staff was very apologetic about it and brought an air purifying device which helped for about an hour after which the smell was back. So I won’t be going back & I definitely wouldn’t be willing to pay more than the promotional rate. Price per night: because of an introduction offer we only paid €47,93 per night, but because of the smoke I still felt this was way too much! 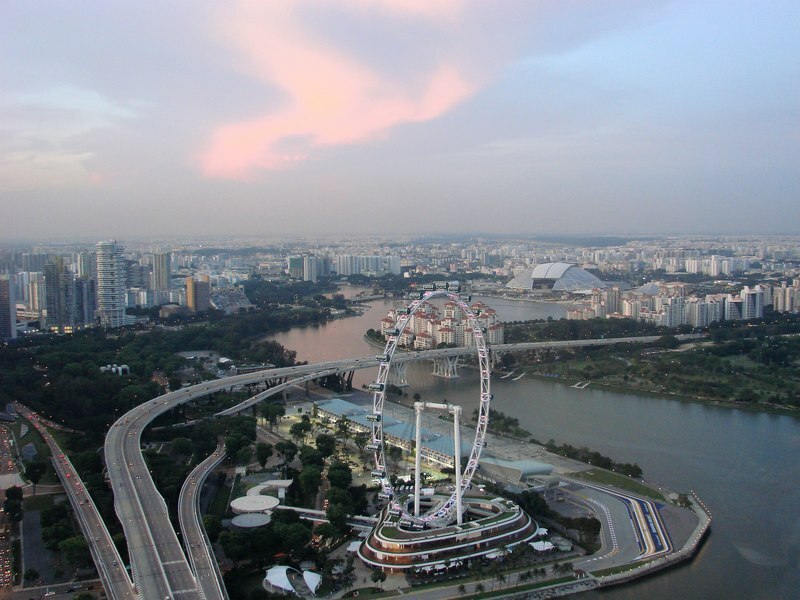 Click here to book a hotel in Singapore! 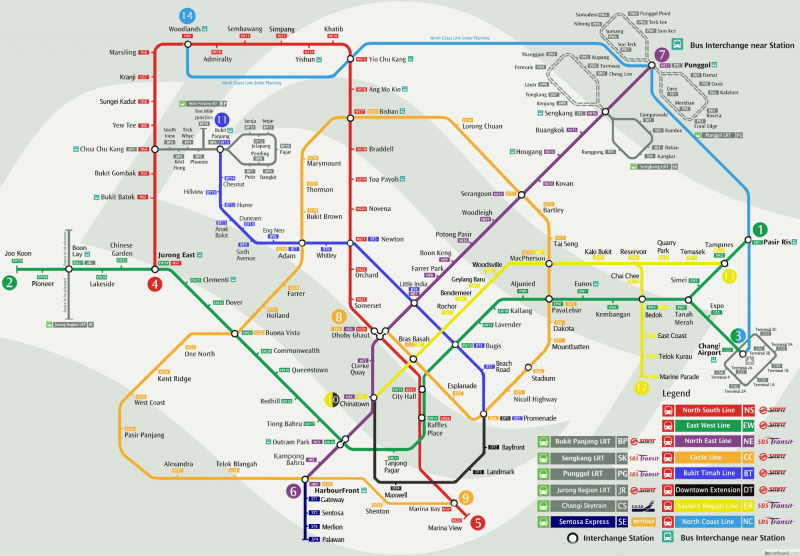 The MRT in Singapore is extremely efficient and not expensive, check MRT info and map here . And if there is no MRT station close to your hotel, there are always buses! The plus side of the bus is that you see more of the city but it usually takes longer than the MRT. More info about buses in Singapore can be found on this site. Singapore is all about food! I have to admit I ate a lot of Indian when I was there. I am slightly addicted to Indian food and there aren’t many places in the Netherlands where you can get proper Indian so I ate as much prata, dosa and curry as I could get my hands on. There are so many things to do in Singapore, you could easily spend weeks and not run out of places to see (or things to eat). 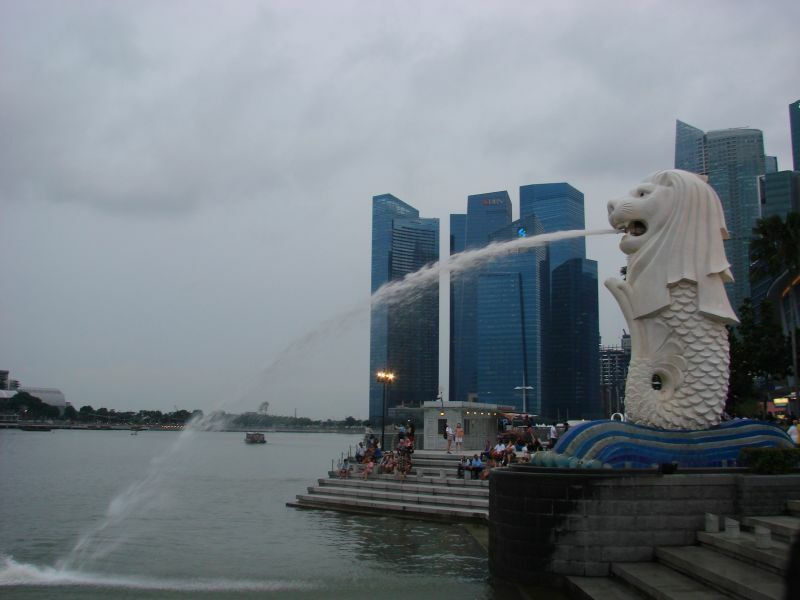 However, I ‘only’ spent 4 days in Singapore, involving a lot of sightseeing, walking and… sweating. Because with temperatures over 30 degrees Celsius and a humidity of 90% it is impossible not to sweat. Unless you stay indoors all day (I guess this is actually quite possible because of the MRT and the countless air conditioned malls;-). But that would mean you’ll miss all the fun, so I say: walk, walk, walk! Singapore day 1: Singapore skyline, Gardens of the Bay, Marina Bay Sands (click here to find out how much a night will cost you), Chinatown, Singapore City Gallery, Merlion and the Singapore skyline by night. 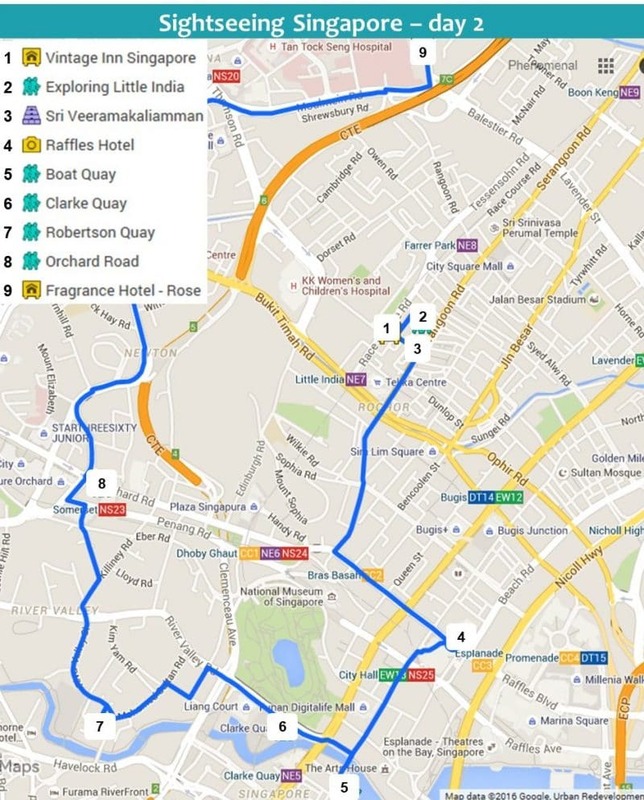 Singapore day 2: Little India, Raffles Hotel, Boat Quay, Clarke Quay and Robertson Quay. Singapore day 3: Sentosa Island, The Pinnacle @ Duxton, Marina Bay Sands observation deck. 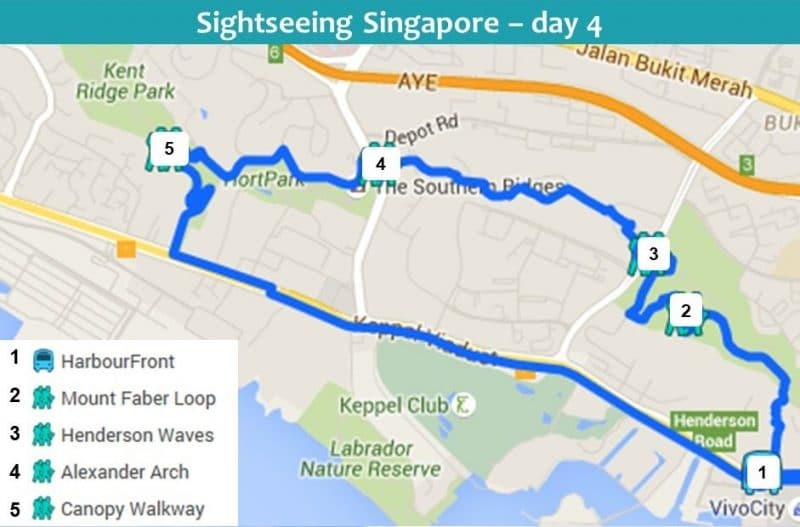 Singapore day 4: Mount Faber Loop, Henderson Waves, Alexander Arch, Canopy Walkway. Below you can find all the nitty gritty details, a map and pictures of all the highlights we visited in Singapore. Admiring Singapore’s world famous skyline. 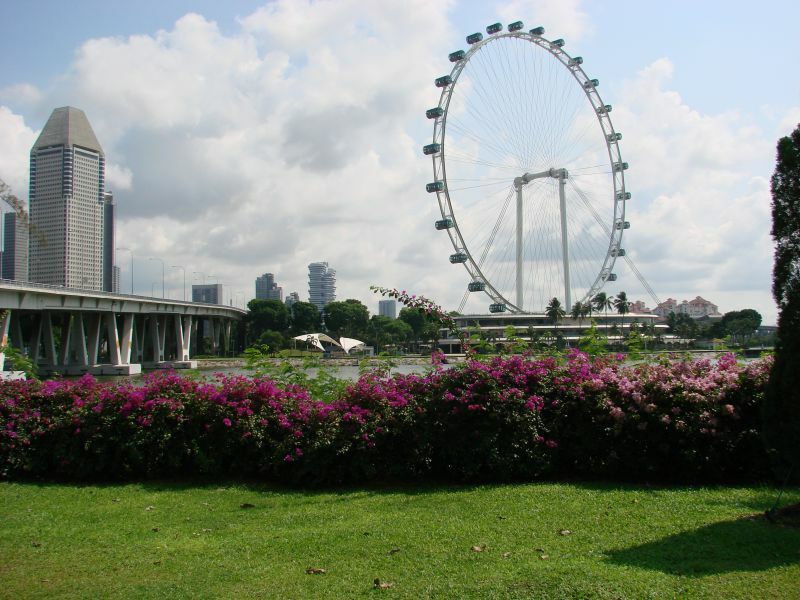 Checking out the Singapore Flyer: 165 meters tall and currently the world’s second tallest Ferris Wheel. 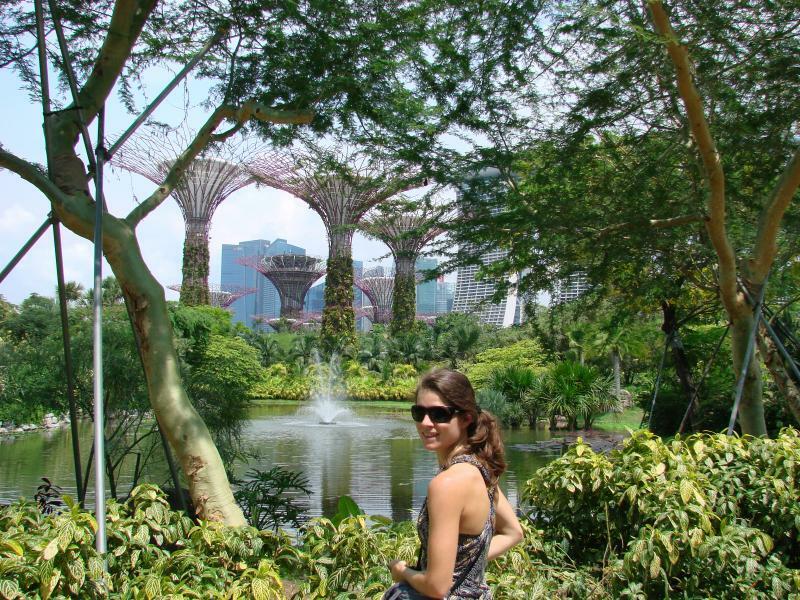 Walking through Gardens of the Bay, a green oasis in a busy city. Marveling at the amazing Marina Bay Sands Building. I mean: how do you come up with an idea like this?! And what’s more: how do you actually build something like this?! Admiring the cool buildings and structures in Singapore, like the Flower Domes and the artificial trees in Gardens of the Bay. 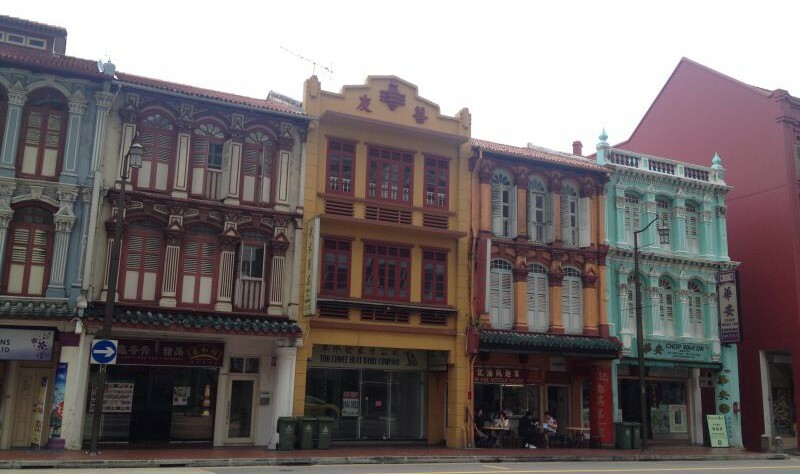 Exploring the quaint streets of Chinatown, what a cute and colorful houses! 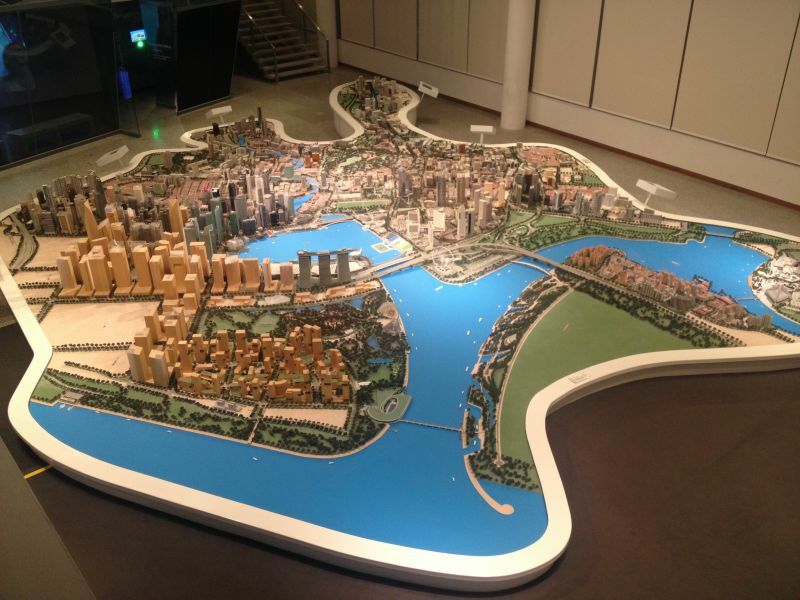 Visiting Singapore City Gallery where a 11 meter scale model of the city is on display. I am truly impressed by the amount of planning involved to maximize the use of the limited amount of square meters available in this tiny country. 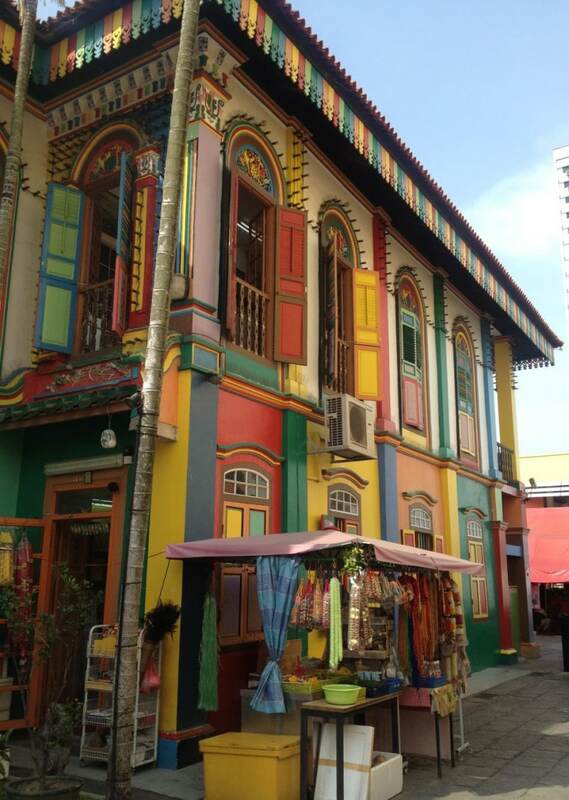 Exploring Little India: this has got to be the most colorful house I have ever seen, so pretty! 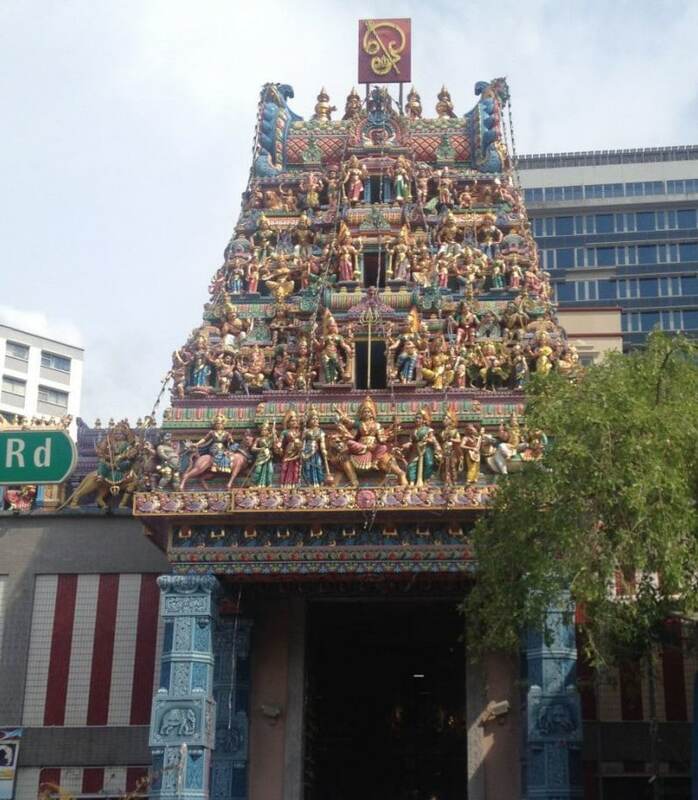 Another colorful building: the Sri Veeramakaliamman Temple. 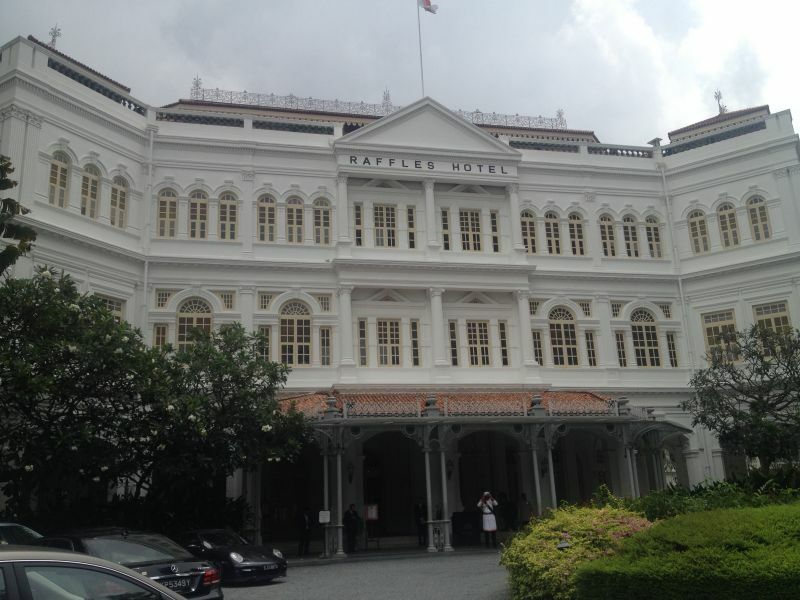 The famous Raffles hotel that opened its doors in 1887 (100 years before I was born!). 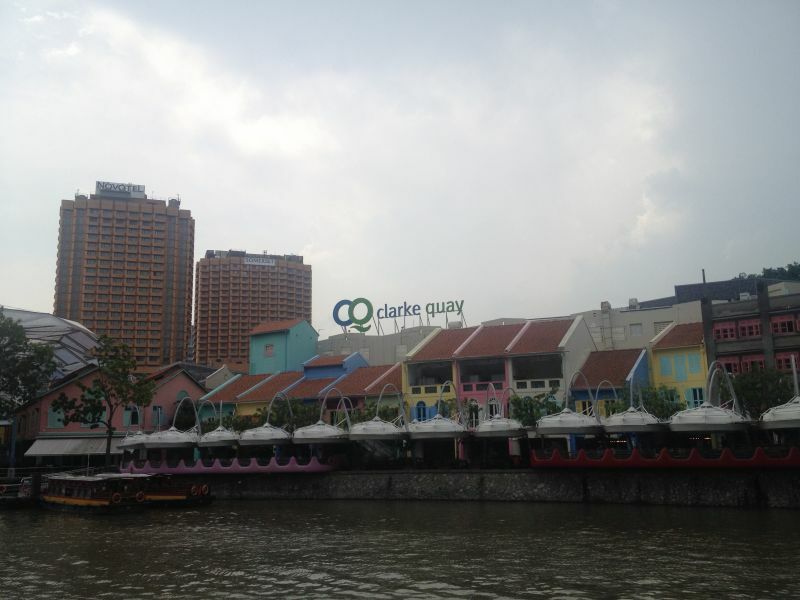 Strolling around Boat Quay, Clarke Quay and Robertson Quay: the center of trade since the founding of Singapore. 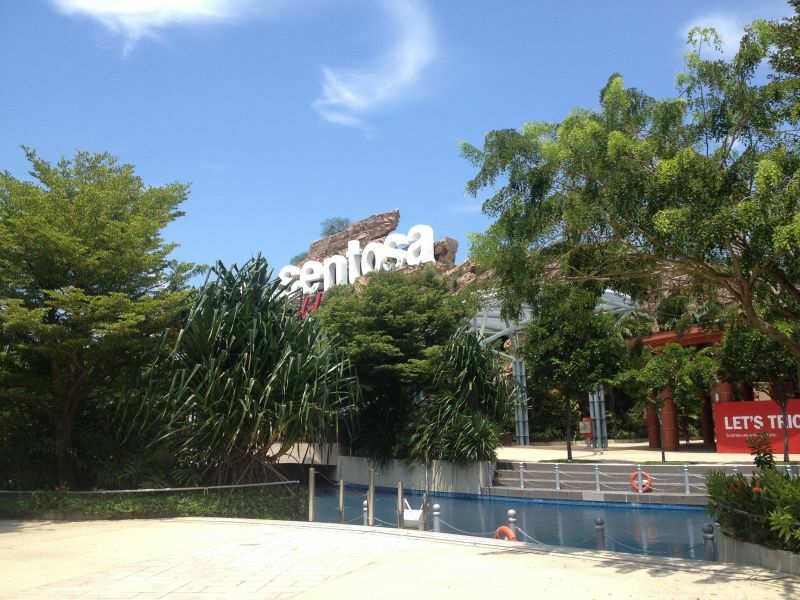 Strolling around Sentosa Island: the playground of Singapore. Read about visiting Universal Studios on Sentosa Island here! 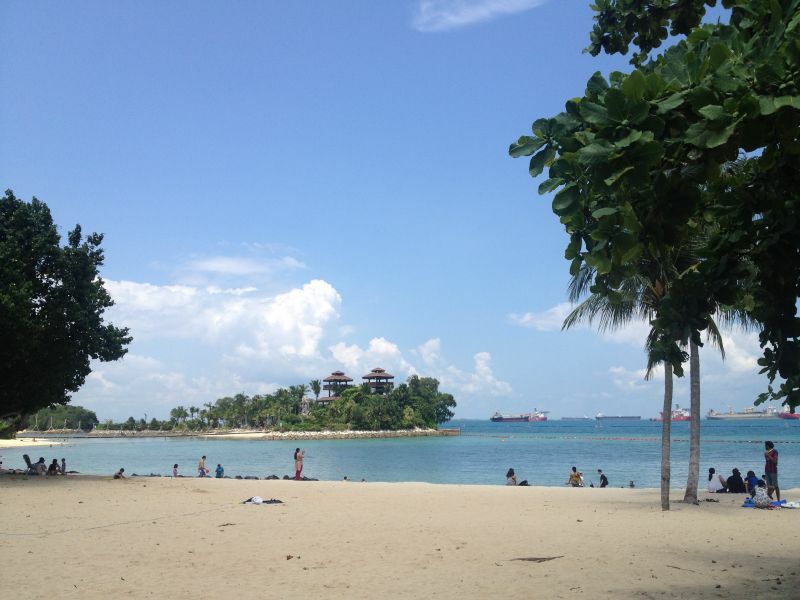 Sentosa Island: artificial beach? Check! 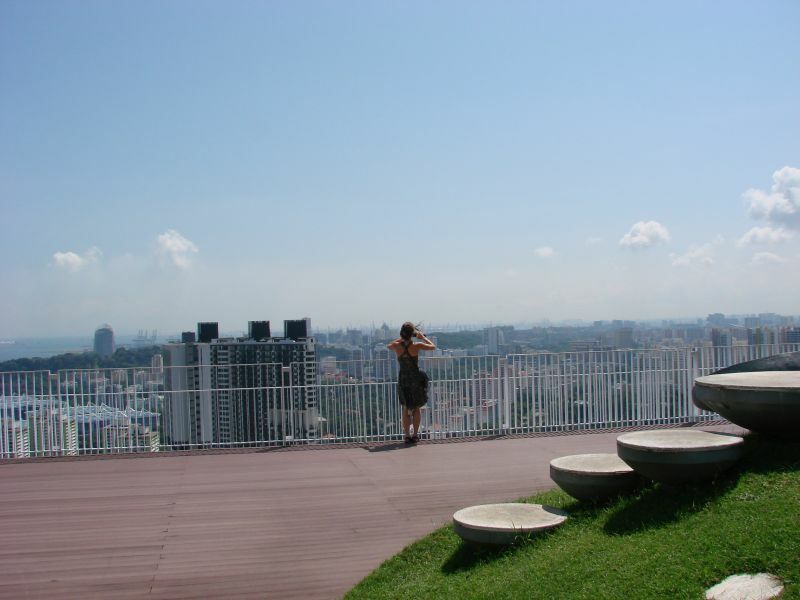 View from Pinnacle @ Duxton: a residential building with the world’s longest sky garden (500 meters) on the 50th floor. 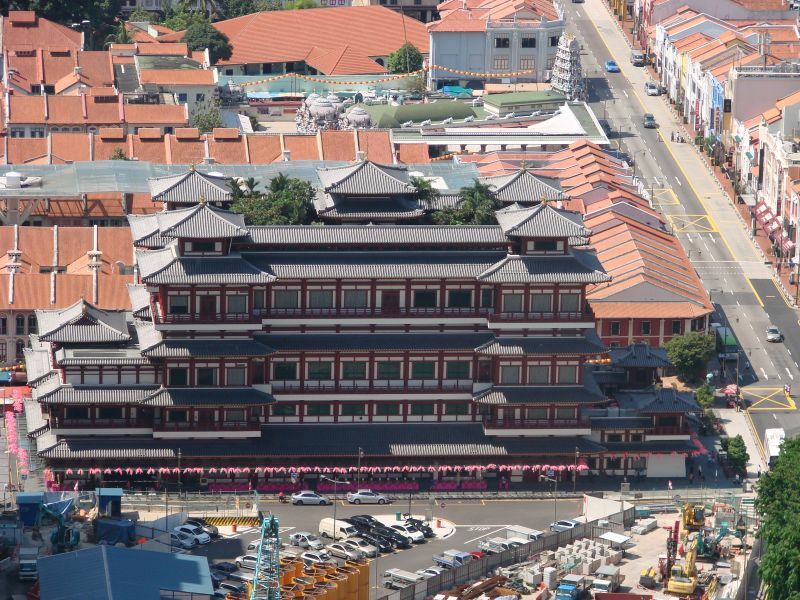 Look, the Buddha Tooth Relic Temple! As if we didn’t walk enough in the prior 3 days, we decided to do the Southern Ridges Walk. Very green and very nice! So green indeed, you would almost forget you are still in a big city! The Henderson Waves, what a beautiful bridge! 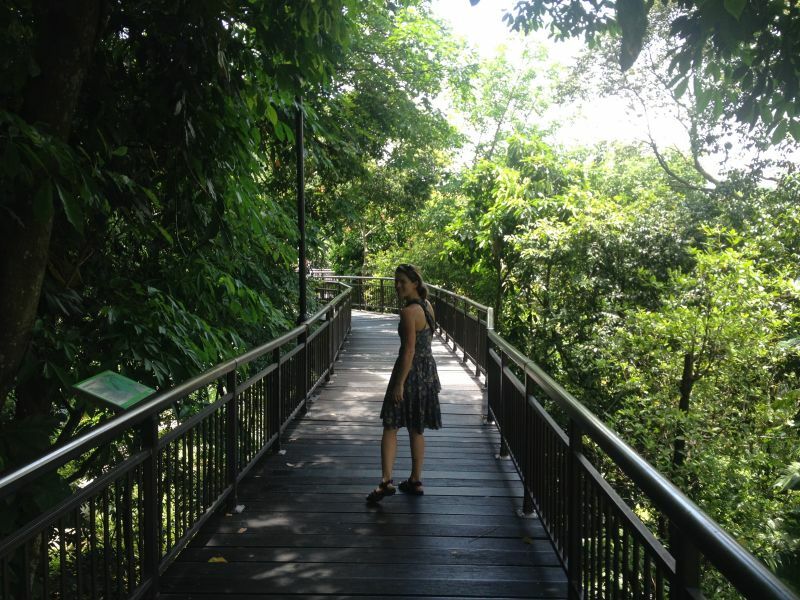 The Canopy Walk: walking high above the ground through the treetops:-). Yes I did a lot of walking:-). From the hotel I took the MRT or the bus into the city and walked from there because the actual city center isn’t that big. Now that I think about it, despite the long list of things I visited, I did not actually spent much money on activities. 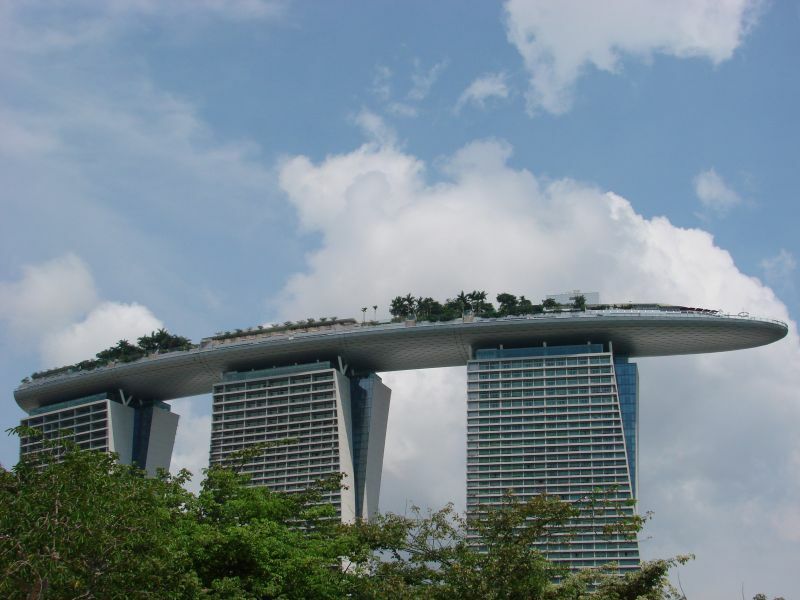 The only things that cost money were the entry to the Pinnacle @ Duxton (5SGD per person) sky garden and entry to the roof of the Marina Bay Sands building (23SGD per person). Oh and a movie ticket! I went to the cinema (10,50SGD) because I love movies and it was nice to cool off after all the walking around in the hot sun. 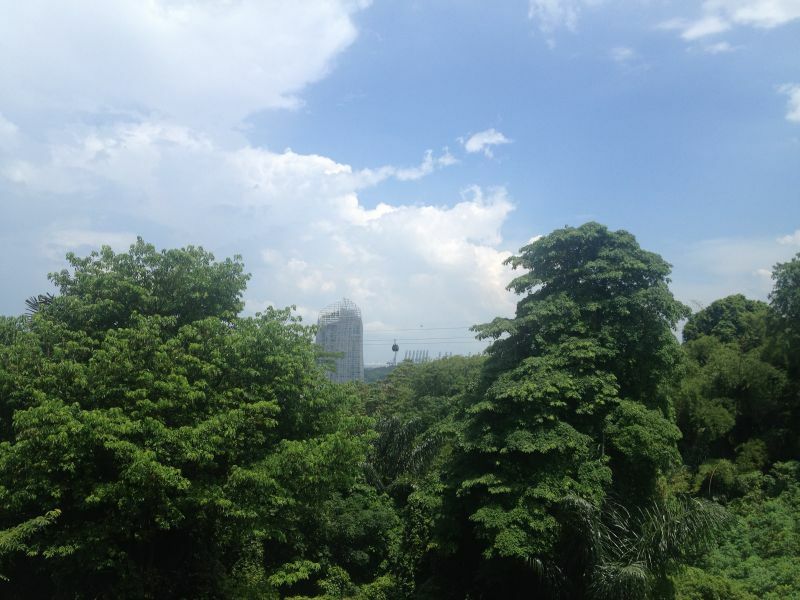 But you don’t hear me complaining, I had amazing weather in Singapore and an awesome time! 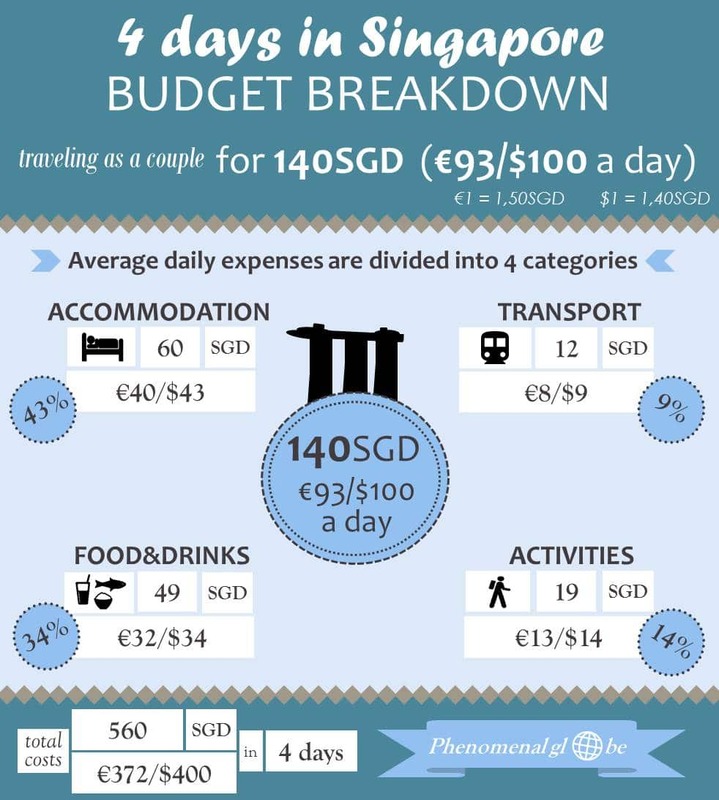 You can download the budget breakdown infographic and the map of the 4 day itinerary below. 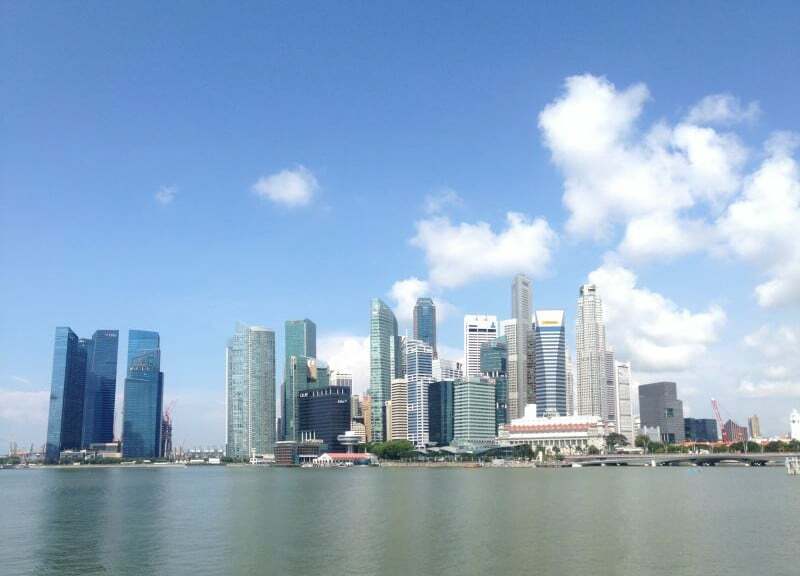 Have fun in Singapore and let me know if you have any questions! I totally understand Singapore feels completely different than Australia, I had the same when I went to Hong Kong after 6 weeks in New Zealand. Such a shock! Super handig, ik ben nog nooit in Singapore geweest maar dat komt vast nog wel. Die umbrella houders heb ik ook wel eens gezien in Amerika. I loved Singapore! I was there 15 years ago (oh my god, is it really 15 years ago?) for a very cheap travel agent fare, and from there on I went to Malaysia. 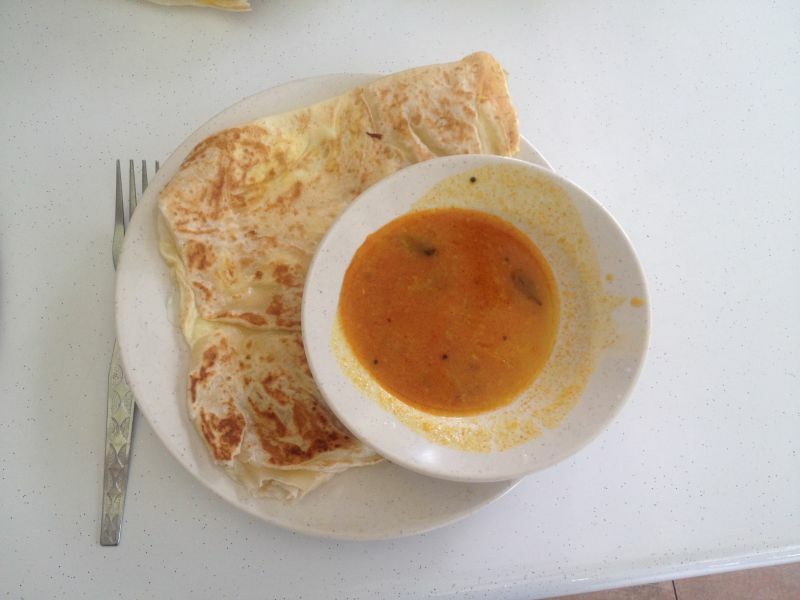 But I really also loved Singapore, and the food indeed! I love Singapore. They have some of the most amazing food, and its so inexpensive. 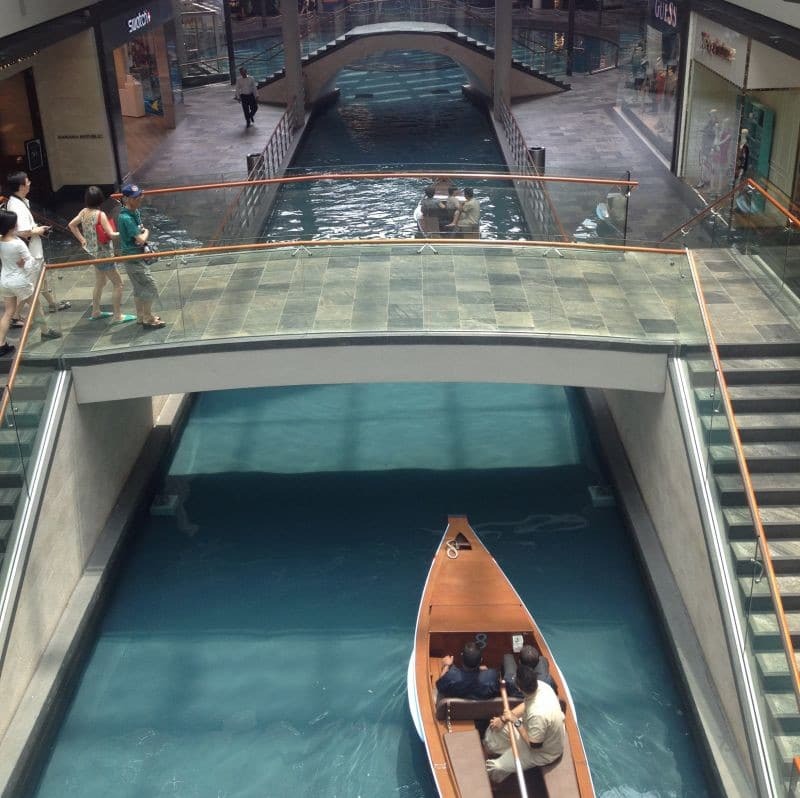 I had heard many people say they didn’t like it because it felt “sterile,” but I didn’t find it to feel that way at all (as long as you stay away from the shopping districts). 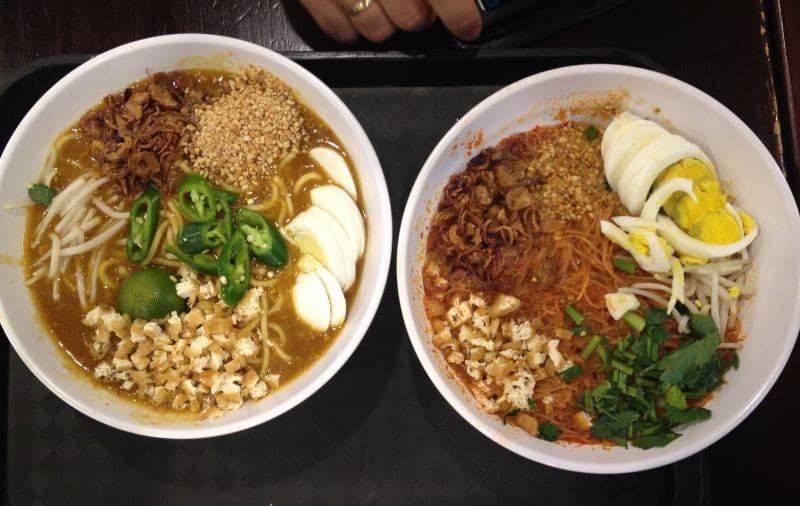 Laksa was one of my favorite dishes too! I wish we had done the Southern Ridges walk while we were there; next time I guess. Have a great trip! 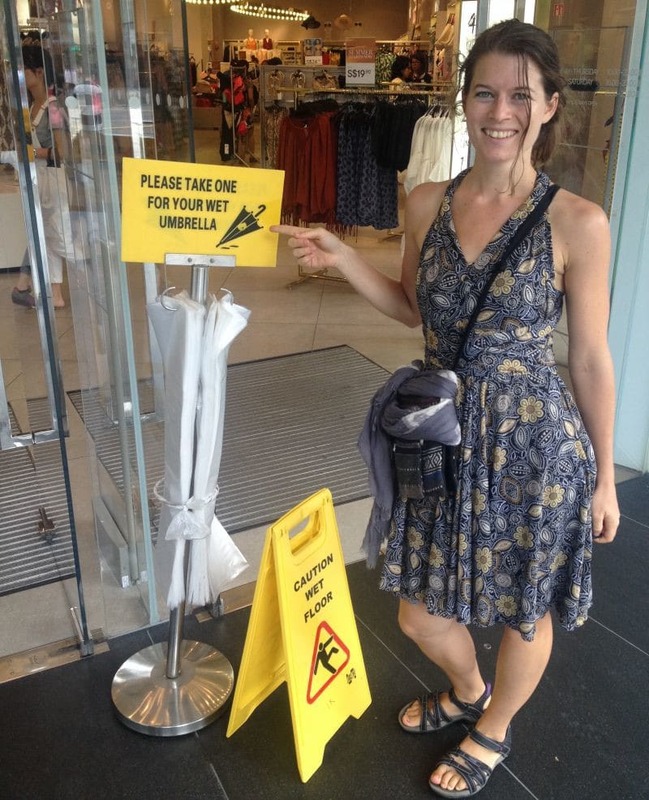 I loved spending a couple of days in Singapore? When we’re visiting NZ or Australia, we usually plan for a 1-2 night stopover in Singapore and enjoy it every time. If you are not on too tight a budget, the Swissotel Merchant Court is a nice hotel to stay in. 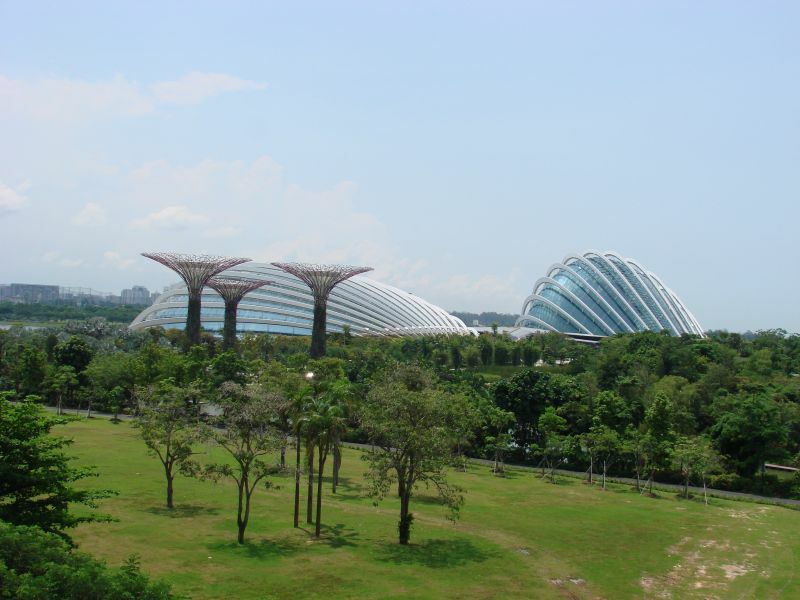 Two additional attractions we’ve been visiting are Singapore Botanical Gardens (free entry) and Jurong Bird Park ( don’t miss the ‘flight show’). Wat een mooi artikel, bedankt! When talking about traveling to Singapore there two questions comes to mind. Expensive? yes worth it? absolutely. Your article is the perfect example for this. really enjoyed the post. Keep writing. Cheers. Hi, I have planned to visit Singapore at the end of May. Your itinerary for 4 days is very helpful for a first-time traveler! Is it necessary to book tickets for sightseeing places in the UK already or can I arrange this when I arrive in Singapore? Hi Nazma, thanks! I’m glad you find the post helpful. I wouldn’t book anything beforehand except accommodation. You can just walk around the city and see what you feel like doing, Singapore is an amazing city so I’m sure you’ll have a wonderful time:-). Have a great trip! Thank you Mandy:-). Have a great time in Singapore! Great itinerary! The maps really help. I’m going to Singapore in November. Can’t wait. 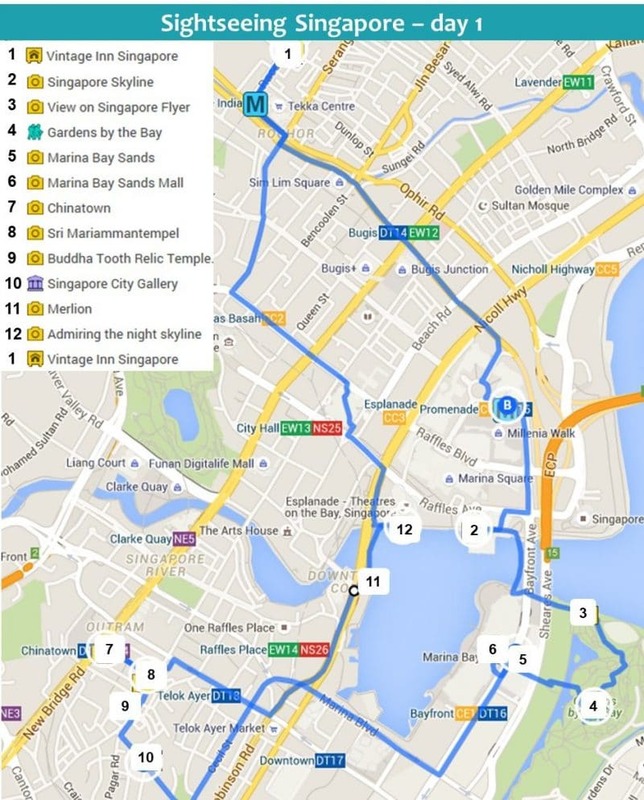 Thanks, happy to hear you like the maps I created:-) Singapore is a great city, enjoy your trip! Wat een uitgebreide en handige gids, dankjewel! 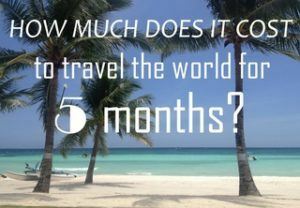 Ik ga over een paar maanden voor 5 dagen naar Singapore ter afsluiting van onze Australië/Nieuw-Zeeland reis. Mijn eerste keer Azië, hoewel het natuurlijk wel heel anders is dan andere Aziatische landen. Mijn man zegt altijd dat ik zulke supergedetailleerde blogs schrijf, maar gelukkig ben ik niet de enige zie ik hier, haha! Wij verblijven in de wijk Lavender wat volgens mij een vrij hipsterwijk is. Heb er onwijs veel zin in en ga jouw gids zeker gebruiken! 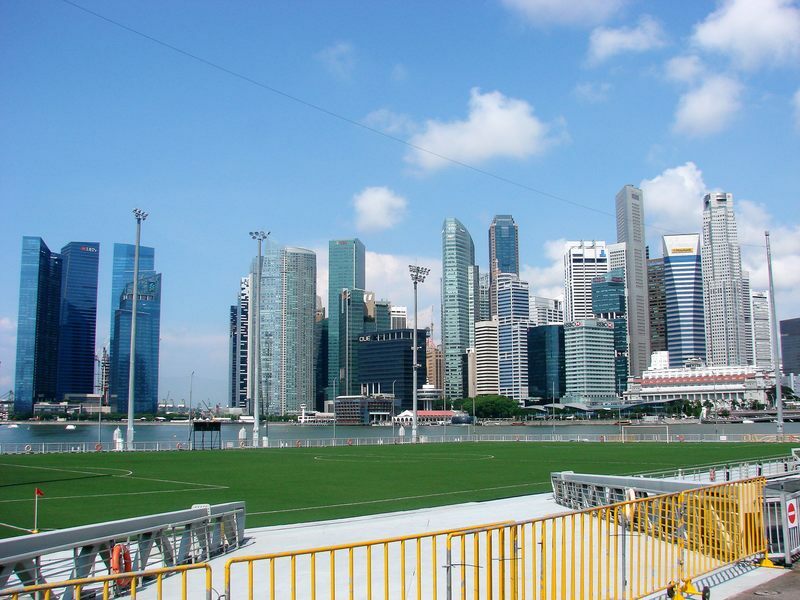 Een hele mooie reis gewenst en veel plezier in Singapore. I have a question about the street food. is Singapore, Is there ready supply of the gluten-free ( i.e. without wheat ) street food available?